Friday, April 7, 2017 5:00 PM Clinton Prairie Jr/Sr High School AWAY 0 Frontier High School HOME 10 Game Recap The Frontier Falcon softball team was finally able to open up their season at home. Even with windy conditions, the Falcons offense was able to explode. The team had 15 hits from 9 different players. 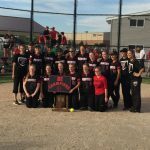 Junior Varsity Softball, Varsity Softball · Jun 8 STATE BOUND! 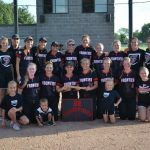 Wednesday, May 25, 2016 7:00 PM Faith Christian School AWAY 0 Frontier High School HOME 2 Game Recap A superb effort by Savanna Harrison carried Frontier Falcons Varsity to a 2-0 win in seven innings over Faith Christian on Wednesday. Frontier Falcons Varsity got the win thanks in large part to Harrison’s dominant, 12-strikeout performance.